As I write this blog, Israel is under fire. Not only are rockets threatening the peace and lives of millions of Israelis, but the media outlets of Israel’s enemies are casting her in an incredibly hateful and harsh light. My heart is heavy thinking of my Israeli colleagues, friends, and family living in fear. My soul is sickened with the bloodshed that I know an escalating military situation will inevitably bring. Every country has a right to defend itself against a military attack. According to Judaism, Israel is obligated to defend herself. The removal of the missile launchers attacking her is a necessity to keep Israel’s citizens safe. While efforts to stop the attacks on Israeli civilians are necessary, it pains us to know that in any military effort there are innocent lives that can be lost. Sadly, that situation is exacerbated by the reality that Hamas is launching rockets from densely populated areas, using human beings as shields, and thus endangering innocent lives. Even though we are thousands of miles away, may we defend Israel with our words, may we support the victims of these attacks with our tzedakah, and may we, with our prayers and our advocacy, work tirelessly to create a world where peace for Israelis and Palestinians can become a reality. Please join us in praying for Israel’s peace at Temple Beth El at Shabbat services tonight at 6:00 pm and at 8:00 pm, and at our Congregational Shabbat tomorrow morning at 11:00 am. We also invite you to join us for two special Religious School assemblies offering Prayers for Peace in Israel at 10:10 am and 12:40 am in our Blumenthal Sanctuary. To give the Israel Terror Relief Fund, an effort of the Reform Movement in partnership with Jews from across the North American Jewish landscape, go to: http://urj.org/israel/. The world is not fair – while Abraham seems to argue for fairness in the treatment of Sodom and Gemorrah, still Lot needs to flee the disaster with his family. Bad things happen. Storms happen, and people run from storms, stay hunkered down in storms. What separates the fortunate on the Upper West Side of Manhattan from the less fortunate in Staten Island, or in Cuba? As Jews we stand up and argue with the unfairness of the universe and then we put our hearts and souls into reaching out to those in need, those who suffer the worst of the storms. We hurl our anger at the sky, and then bend our minds and backs to the tasks at hand – rebuilding, repairing, and making anew. 17 and the anger of Adonai flare up against you so that he shuts up the heavens, and there is no rain, and the earth does not give forth its yield, and you perish quickly from off the good land that Adonai is giving you! We don’t like these words because they equate good and bad behavior with good and bad natural events. We prefer the perspective from the Book of Job, that bad things happen to good people, and good things happen to bad people, and we can’t explain it at all. And yet, is that really the case? When we act as a community to prevent difficulties – to provide care for those who need it, and food for those who need it – we create a society in which there is less suffering. Our actions do shape our communities – actions and outcomes are connected. When we work together to build sound foundations, to respect the ecology that provides our resources for food and shelter, we interact with a planet that treats us with some of the respect that we treat it. We don’t have to look at God as responding to behavior when we recognize that we live in a society and on a planet in which all things are connected. Each of us plays a part in the whole, and we sink or swim together. 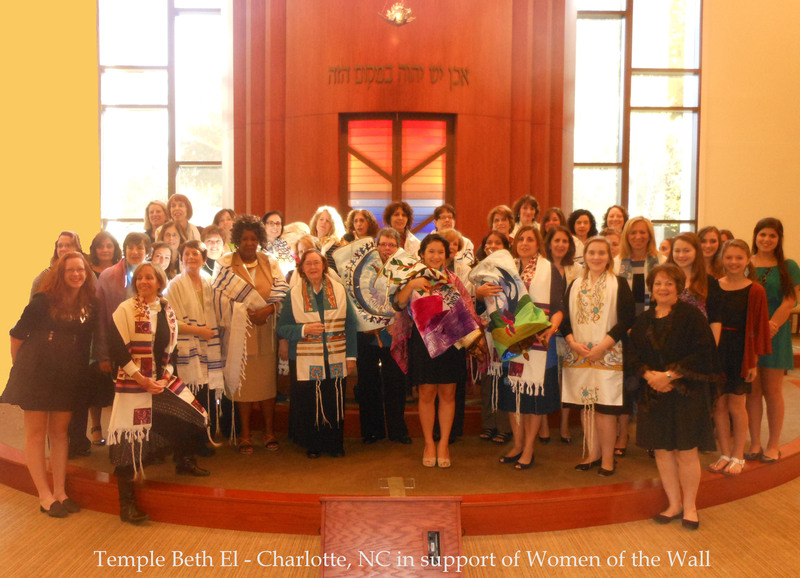 TBE Women stand united with Women of the Wall and for pluralism in Judaism, in Israel and everywhere!